I am such a bag lady. I don't know what the obsession is about, but I love buying bags. Even (especially?) 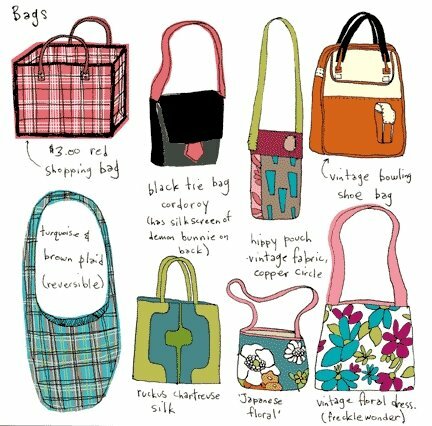 when I already have enough cute bags to get by with. Bought another one this weekend, maybe I need help :) Still, it's a cheaper addiction than shoes.. Sadly, I've become a shoe whore.. I also own way to many purse's then I would like to admitt to. I really don't know what happened to my wallet with the chain look. I must be growing up..